Some scattered thoughts as we pause and take stock of the situation before May 14. Originally published by ZAD Resist. To quote Durruti, “It’s not the barricade but the rifle you have to hold on to.” If you lose the barricade (e.g., the ZAD, a squat, a particular engagement with the state) but retain the rifle (the collective ability to fight, immunity to narratives that legitimize state violence, a commitment to solidarity over opportunism), you can still move from one engagement to the next, building capacity. If you lose the rifle, but retain the barricade, it may appear that you have won, but thirty years later you will look around and find that you are where the once-formidable Dutch squatting movement is today. I was zipping through the recent Crimethinc commentary on the ZAD internal conflicts when I hit this quote and had to stop to laugh. What a great, thought-provoking statement this quote is. Is it true of the Dutch squatting movement? No, not at all I would argue. The only thing giving the movement any strength at all is the network of surviving, mostly legalised big squats, scattered across the country and concentrated in Amsterdam, which provide an infrastrucure for meeting and organisation (and gigs and solidarity fundrasiers and housing and whatever else). Other than that the scene is dwindling away into near irrelevance, still housing many people but a shadow of its former self. And that is ok, things change over time, if you think the Dutch squatters movement could have defeated neoliberal capitalism then you must be very romantic. The Dutch movement absolutely got fucked, just like the rest of us. At least they managed to hang onto some antagonistic spaces which is more than you can say for most radical social movements. And created a national attitude towards the use of space which still helps people house themselves today, as well as creating room for artists and other parasites. Further, I would even dispute the employment of the metaphor. This isn’t a Durruti quote I recognise or even can find when i search for it it, but I would imagine he is talking about a revolutionary moment and yes in terms of military tactics, it’s clearly better to give up a street position and hold onto the weapons, to retreat back to the next barricade. This does make sense in a street battle, but not in a campaign of resistance. 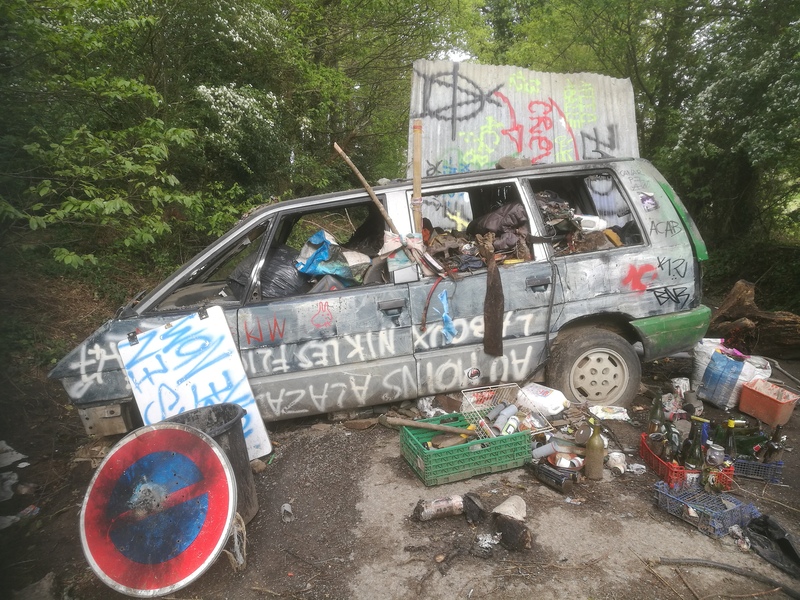 The ZAD cannot be replaced. ADM cannot be substituted for a two year land contract in Almere. The Landbouwbelang cannot become yuppy flats. There is no alternative. We have to fight for the spaces we have. Without them we cannot breathe. Even further, the revolutionary potential only comes through this struggle. There is currently no rifle, literally and metaphorically. The rifle has to be contructed on the barricades, when we steal weapons from the cops. The state’s monopoly on violence is so strong that most people (myself included) would have no real idea how to fire a gun. What do we want? Maybe that is a good question. The ZAD negotiators, I sure I know their type, they will be very smooth and egotistical and think they know best for everybody else. But we already know what happens. The lessons of history are clear on this. Power itself must be abolished – and not solely because of a refusal to be dominated, which is at the heart of all traditional struggles – but also, just as violently, in the refusal to dominate. What we need is no power for no-one. Hard to achieve when there are so many macho activists in our midst, let alone agents of state repression. But then maybe this is the real task of the anarchist, to hang out on the fringes and to kill the cops inside people’s heads, to take out the politicians, to keep the movement bubbling away and strong. As I write this, it’s day 28 of state repression of the ZAD. It’s clear that it is too big to fail, it’s also clear that Macaroni urgently needs to stop the irresistible force of 1968 emerging once more. It warms my heart to be told that reinforcements are flooding into the ZAD, I wish everyone there the best of luck in the coming days. We are all already dead. We all know this. Just look around. But we are still breathing. And we can still fight.